Close up of the tag punches with the mulberry paper behind - and side views. 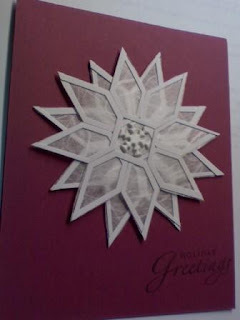 As much as these cards are a pain to make - merely just time consuming, I love the outcome. 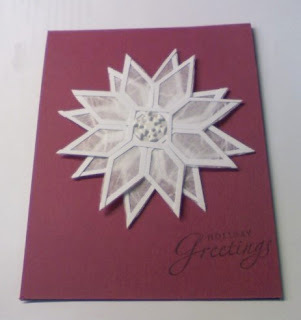 I used the some retired Stampin Up paper. 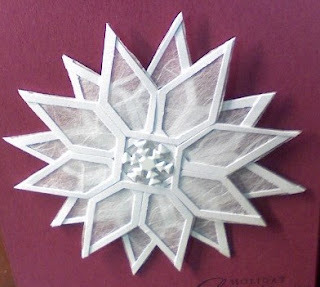 I was chekcng our your blog and saw the Poinsettia card you made last year. Is this very difficult to do? ?